Law firms are sued all the time, every day, in fact. 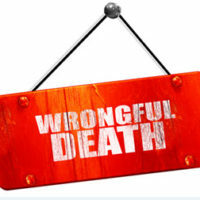 Seldom, however, are they sued for wrongful death. Nonetheless, one Florida law firm successfully defended itself against a wrongful death lawsuit brought on behalf of the estate of a paralegal who had been drinking on the job. You might be inclined to think that this paralegal had incurred the wrath of her employers, but the law firm in question allegedly supplied their attorneys with a bar in order to facilitate longer working hours. The paralegal, apparently, had too much to drink. On her walk home from work, she was struck and killed by a train. Central to the question of whether or not the law firm should have been held liable for the young woman’s death is whether or not they behaved negligently. In personal injury claims law, a case like this is known as social host liability. When the host of a gathering or get-together supplies alcohol to guests, they can be (in some states) held liable for damages that occur when one of their guests drives home drunk and causes an accident. Florida, on the other hand, has severe restrictions on social host liability. Florida’s Dram Shop Law stipulates that there are two lone conditions under which an alcohol vendor can be held liable for an injury that occurs to or because of one of their guests. The first is when the vendor knowingly supplies an underage party with alcohol. The second is when the vendor knowingly supplies an alcohol-addicted individual with alcohol. These are the only two instances in which anyone can be held liable for a personal injury under Florida statutes. Florida’s dram shop laws, however, do not apply to social hosts. Social hosts cannot be held liable in a personal injury lawsuit even if they supply an underage person with alcohol. They can be charged with a criminal offense, but they aren’t liable for injuries under Florida law. Despite the fact that there is no social host liability in Florida, attorneys for the deceased argued that the law firm either knew or should have known that the deceased was an alcoholic because she attended AA meetings. Her employers, nonetheless, served the paralegal so many drinks the night she died that she got hit by a train on her way home from work. The court ruled that the statute applied to vendors, not employers, who were considered social hosts under the law. The case was dismissed and then dismissed again on appeal. The law firm, which has since been dissolved and rebranded, stated that they never served alcohol in the office and that the paralegal’s death looked like an “apparent suicide.” Despite what a sympathetic reader may think of that statement, the law firm was legally in the clear, even if they did serve alcohol to their employees. Do You Need Restitution for the Loss of a Loved One? If so, Gillette Law of Jacksonville can help you get you that restitution. Give us a call at (904) 600-4758 or contact us online, and we can begin preparing your case immediately.